I know, I know, the internet is not lacking of choco chips cookies recipe, there are already like 1001 different choco chips cookies recipes out there and each of them claim as the best recipe ever. 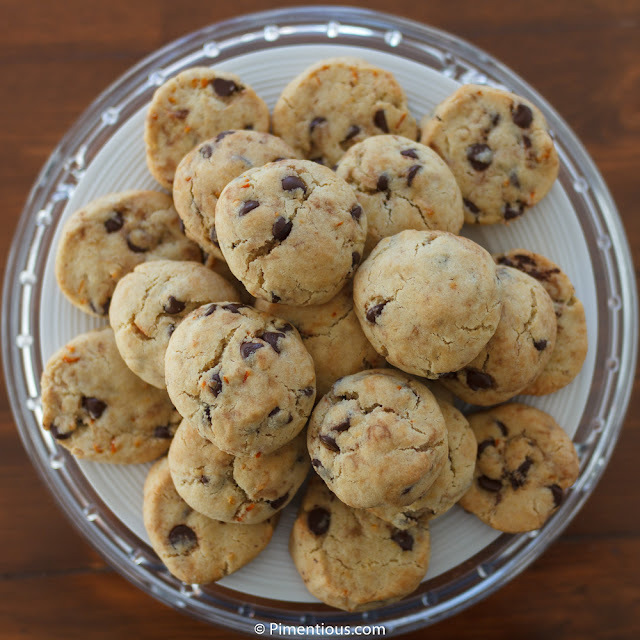 It is not that hard to make this classic cookies, the key is to put the choco chips generously. I remember when I was a kid, getting a bag of choco chips cookies was a luxury although there were only afew choco chips in it. One of the best part of being an adult is I can put as much as choco chips I want on my choco chips cookies. For today's recipe, I don't only put a generous amount of choco chips in it, but also some clementine peels and juice to give that tangy and fresh flavor to my cookies. Using an electric mixer, beat butter and sugar until the texture becomes smooth and creamy. Pre-heat oven to 350 F, meanwhile, put your cookie doughs on a silicone baking mat or a baking tray lined with parchment paper. 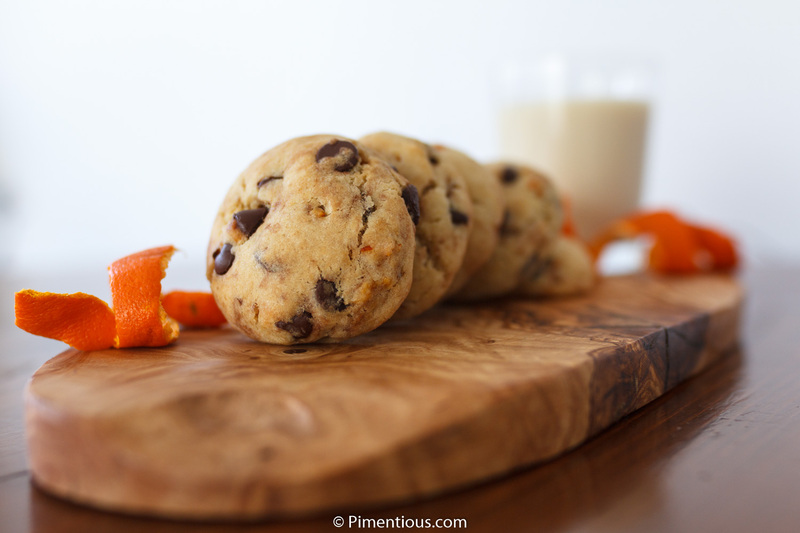 Et voila, your awesome clementine choco chips cookies are ready to be enjoyed! Another recipe with chicken hearts!